Did you know that Bill Gates makes so much money every minute that if he is walking down the sidewalk, and sees a hundred dollar bill lying there, it would be a waste of his time to stop and pick it up? Bill Gates has more money than he could spend, even if he tried to spend it all. Well, you must understand, the riches you have are much more valuable than a new truck or a dream vacation. Do you know how to judge the value of something? One of the best ways to judge value is by how long it will last. A common saying today is, “They sure don’t make things like they used to.” This means that the things they made 30 or 40 years ago lasted longer than they do today, and so the cheap plastic parts of today are a waste of money and therefore not as valuable. Have you seen that diamond commercial on TV where the slogan is “Diamonds are forever”? The idea is that you know a diamond is valuable because a diamond lasts forever while flowers fade and chocolates get eaten. The idea is, if you want your love to last, don’t go on a second honeymoon, buy a diamond, because while the second honeymoon will end, a diamond is forever. In reality, a diamond is not forever. Even though your diamond will last a long time, it doesn’t really matter because you can’t take your diamonds with you when you go to heaven. Well, that is what we are going to talk about today. We will be answering the questions: What are these riches? How can we access them? And what are they for? The reason we are talking about this today is because we want to be a growing church. If this church is going to grow as God wants it to grow, if you personally are going to mature in the faith, and get involved in ministry, there are a lot of things you will have to change in your life. There are a lot of things you will have to develop in your life. There is a lot of growth you have to go through yourself. You see, the church grows only when the people in the church grow. But the chances are that as we go through what it is you have to do to grow as a person so that this church can grow, you may get a bit overwhelmed. You may begin to think that the cost is too high. You may begin to think that you do not have what it takes to grow spiritually or personally. And so it is very important that right from the outset, each and every one of us understands that all of the necessary resources, all of the cost involved, is not covered by you, but is covered by God. You see, the church He is trying to grow is a spiritual building. Ephesians 2:21 refers to the church as a spiritual building. And as you all know, if you have been involved in building a house, or done any type of construction at all, buildings cost money. Buildings use up resources very quickly. They will drain your bank account faster than you can imagine. And this building which God wants to build costs an awful lot. There will be lot required from you because God’s standards are so high. He wants top of the line on everything. He doesn’t want to cut any corners. Every little bit of the spiritual building God wants constructed will be custom made – even down to each and every nail. But God wants you to know right from the start that He will pay for it all. He will cover the cost. When God builds His church, money is no object. There’s plenty of resources to build the house that God wants. I don’t want any of you to get overwhelmed with the requirements for spiritual church growth. Just remember that whatever God asks you to do, He has already given you the resources to do it. It all comes from Him. One place we learn about these resources is Ephesians 1-3. 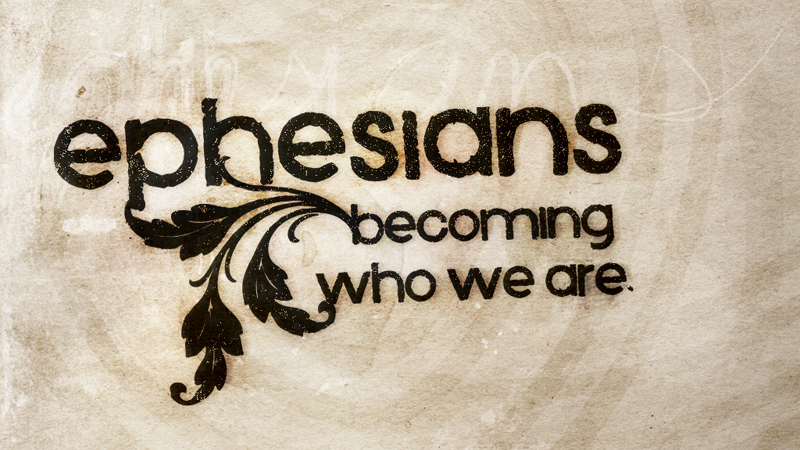 Ephesians is a book all about the church. It is six chapters long and divided right in half. The first three chapters are all about the riches of the church. The riches you and I have as Christians. The riches we have in Christ. The second half of the book of Ephesians, chapters 4-6, is all about our responsibilities with these riches. What we should do with these riches. If Ephesians 1-3 explains our bank account, Ephesians 4-6 contains the investment strategies which guarantee results. So today we will look at the building resources in Ephesians 1-3, next week at the development goal in Ephesians 4-6. This just makes sense to do it in this order. It is always wise before you set out to build anything to make sure your finances are in order and you have enough money to finish the project. Jesus calls it counting the cost. You don’t want to get half way through building and then run out of money. When I was growing up, there was a house just down from ours which took the owners about 17 years to build because they kept running out of money. It’s not that they worked on it slowly for 17 years. They began to build this huge home, then ran out of money, and so just let the house sit for 6 or 7 years before they did anything else on it. During that 6 or 7 years, I remember that my brother and I would go over there and walk around in the house from time to time, and every time we went, we would notice more and more damage to the house. Squirrels had gotten in and made it their winter residence. There was water damage to a lot of the wood because of the holes in the roof and walls. Then after these six or seven years, they started building again, but the first thing they had to do was tear out everything that had been ruined and redo it. This cost so much money, that they didn’t get very far the second time they tried to build it and so they only got as far as getting the house enclosed and the windows put on. They ran out of money again, and had to let it sit for another seven years. They didn’t get it shingled. They didn’t get siding on the exterior walls. At least it was more enclosed than before to help keep out animals and the weather, but it still wasn’t finished. I went off to college about that time, and my parents moved to another town two years later. I was surprised a few years back when I went to show my wife where I grew up, and the house was finished. It only took them 17 years and running out of money twice and having to redo a lot of things that had already been done, but they did finally get finished. Now, all of this could have been avoided if they had simply taken the time to sit down and make sure they had enough money to do everything. This is what we are going to do right now in Ephesians 1-3. The church, being a spiritual building, is built with spiritual bucks. In the book of Ephesians, which is a book about the church, we learn that we have the infinite resources of God at our disposal. When it comes to church growth, money is not an issue. My brother has designed some of the homes at a local golf resort. And he has told me about some of the expenses that have gone into some of those homes. The money they seem to burn on the silliest things. This is because some of them have so much money, they don’t know what to do with it. But the church that God is building has even greater resources, and God knows exactly what to do with His resources. He has put the divine debit card at your disposal in order to build the church that He desires. 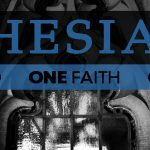 Ephesians 1-3 clearly give an account of the incredible riches that belong to the church.Let’s begin right in Ephesians 1. There is too much in these three chapters to cover in a verse by verse fashion, so I will just be pointing out a few highlights as we go through. Paul doesn’t waste any time in getting to the point. He begins right in Ephesians 1:3. He says, Blessed be the God and Father of our Lord Jesus Christ, who has blessed us with every spiritual blessing in the heavenly places in Christ. This is the summary introduction to Ephesians 1-3, and Paul says right from the start that God has blessed us and given to us every spiritual blessing. You know, there are some who teach that we need to pray for more blessings and ask God to give us a second blessing, or another blessing, or a greater blessing than what we already have. But Paul says that God has already given to us all the blessings that there are. You don’t need a second blessing. You don’t need someone to pray over you to receive another blessing. You already have them all. God has already given to you everything you need for life and godliness (2 Pet 1:3). Has someone told you that you are lacking some spiritual blessing? Don’t believe it. It’s a lie. God has already given to you every spiritual blessing. Not some spiritual blessings. Not a few of the blessings. Every spiritual blessing. What this means is that you don’t have to go searching for more blessings. You just need to discover what God has already given to you and then start using them. And notice also from this text that these are spiritual blessings. While God does give us physical blessings and material blessings and health blessings, we must not give in to another false teaching which says that if you want something, like a Rolls-Royce or a Cadillac, or a million dollars in your bank account, all you have to do is name-it-and-claim-it. There are plenty of promises in the Bible for material provision, but they are that God will meet all of your needs, not your wants, and you do not need a luxury car or a million dollars. The riches and blessings of Ephesians 1-3 are entirely spiritual. So as we go through them, don’t begin to think that I am talking about your unpaid bills and that water-ski boat you’ve always wanted. That’s not what these chapters are about. 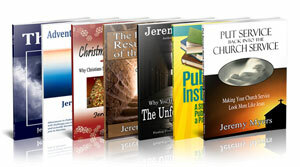 God’s church is a spiritual building, and He has given us spiritual riches to build it. The first of these spiritual riches is found in Ephesians 1:4. Just as He chose us in Him before the foundation of the world. What is one of your blessings? God has chosen you. This means that you are one of His choice servants. This is probably a bad analogy, but one of the things I always hated in grade school was picking teams. You know how it works. All the kids line up, two team captains are agreed upon, and then they take turns picking who they want to be on their team. And you always hope that you get picked first or second. The feeling of getting picked last is the worst feeling in the world. Well guess what? Ephesians 1:4 says that God chose you first. Before the foundations of the world, that’s eons ago, God decided that every person who believed in Jesus for eternal life would be His chose servant to accomplish His work and His will in this world. God has a game plan, and He picked you first to carry out that game plan. Now I know that there is a lot of controversy surrounding the doctrine of election and predestination. I am not about to jump into that subject too deeply this morning. It’s not because I’m scared of the topic. I have very strong opinions about it. It’s just that the controversy would distract us from the riches we read about here. You see, no matter what side of the election issue you are on, one thing we can all agree on is that it is wonderful to be chosen as part of God’s team. God is your team captain, and He picked you first. That is a wonderful blessing and a great feeling. In Ephesians 1:5, we are told that not only has God chosen us, but He has also adopted us. It is not just that you are chosen to be on His team. You are adopted into His family. Have you ever realized how incredible that is? To be a child of God. We often call ourselves children of God, but think of it in a hum-drum, ho-hum fashion. But how many of you would brag about being a child of George W. Bush? Or being the heir to the Bill Gates fortune? Or being the heir to the throne of England. You all would. But you are better than either of these. You are a child of God. You are the child of the creator of the universe. God didn’t just create Microsoft Windows. He created wind. He created air. He created the sun, the stars and the moon. That’s your Father. Who cares about being related to Bill Gates. You’re related to God. You are a child of the King of Heaven. And you should live like it! No more hanging your head in defeat. No more being ashamed of being a Christian. No more shuffling your feet and walking around like a second class citizen. You’re a child of God! In Ephesians 1:7 we see another of our riches. In him we have redemption through His blood, the forgiveness of sins, according to the riches of His grace. What a rich blessing this is! What an incredible gift! You would never, ever, ever, in a million billion years be able to do enough good works to earn the forgiveness of sins for yourself. When people try to become millionaires today, they think, “Well, if I just work hard enough and have the right opportunities, I can become a millionaire.” And there is a lot of truth to that. I have been told that if you want to become a millionaire bad enough, almost anybody can do it if they make the right decisions. But I’ll tell you what. Nobody, no matter how many years they were given, or how many right decisions they made, would ever be able to earn redemption, the forgiveness of sins, for themselves. Not even if you were given eternity. You cannot do it. Redeemed, how I love to proclaim it. Redeemed by the blood of the Lamb. Redeemed by His infinite mercy, His child, and forever, I am. We sing so that the person in the pew in front of us can barely hear us sing. But you know what? There are exclamation points in that Hymn. We should belt it out like we mean it. We should shout it out like the great and incredibly rich gift that it is! Sing it with me with exclamation points! Redeemed, how I love to proclaim!!! Redeemed by the blood of the Lamb!!! Redeemed by His infinite mercy!!! His child, and forever, I am!!! Redeemed!!! Redeemed!!! Redeemed by the blood of the Lamb!!! Redeemed!!! Redeemed!!! His child, and forever, I am!!! When you let that truth get a hold of you, I guarantee your life will never be the same. You are redeemed! So what are our riches so far? We’ve been chosen. We’ve been adopted. We’ve been redeemed. Next in Ephesians 1:11, we’ve been given an inheritance. Have you ever dreamed of getting a letter in the mail saying that some rich uncle you never knew just died and you have just inherited his entire $3 million fortune? Well guess what? Ephesians 1:11 says that in Christ, we have been given an inheritance. God has made Jesus Christ His heir, and we are co-heirs with Christ. All that belongs to God also belongs to Jesus Christ and to you and to me. And what is it that God owns? Everything. He owns the cattle on a thousand hills. He owns the universe. Everything is His, and He has given it to you. All of God’s resources are at your disposal. Remember that when you are about God’s Work, if there is something you need, He will make sure that it is made available to you. Ephesians 1:13 goes on to tell us of another one of our riches – our sealing by the Holy Spirit. you were sealed with the Holy Spirit of promise. This sealing is a proof, a promise, a guarantee by God that everything He will give us our inheritance in heaven, and ultimately bring us to heaven with Him. This is what we read in Ephesians 1:14. The seal in those days was kind of like a signet ring. It was a stamp that a merchant would put on items that he wanted to purchase. He would give a down payment on the items, seal them with his symbol, and then come back later to pick them up and take them home. It’s also a bit like an engagement ring. An engagement ring is a promise from the man that he will marry the woman. Now, in preparation for marriage, these promises are sometimes broken. But God never breaks His promises, and He has given us an engagement ring. He has given us a seal. He has given us His signet ring saying that we are His, and He will return soon to pick us up and take Him to Heaven to spend eternity with Him. And the Holy Spirit is a wonderful gift from God to you. He teaches you about God’s ways. He illuminates God’s Word. He helps you walk in God’s will. There are a lot of misunderstandings in churches today about what the Holy Spirit does and who He is, but when we truly consider the whole council of God, we discover that He always prefers to remain out of the way and behind the scenes, gently and quietly point people to Jesus Christ. Jesus says in John 16:14 that one of the main ways the Holy Spirit works in the life of the believer is by bringing glory to Jesus Christ. The Holy Spirit never glorifies Himself. He always glorifies Jesus Christ. The Holy Spirit is an amazing gift of God in your life. Despite what many people say, you can know the Holy Spirit is at work in your life if you are growing closer to Jesus Christ day by day. I am very leery of organizations that always talk about the Holy Spirit. The Bible says that the Holy Spirit is most at work in churches and Christians where Jesus is most glorified. Where Jesus is talked about and focused on, where Jesus is glorified and exalted, there the Holy Spirit is most at work. We read elsewhere that nobody can say Jesus is Lord, except by the Holy Spirit. Do you want to know that the Holy Spirit is speaking through you? You don’t need to speak in tongues, all you need to say is “Jesus is Lord” (1 Cor. 12:3). And the Holy Spirit also works through the Word. The Word of God is the Sword of the Spirit according to Ephesians 6. Are you growing in your knowledge and understanding of the Word of God? Then that means the Holy Spirit is at work in you, teaching you to use the Word. The Holy Spirit is an amazing, wonderful gift from God. And He always points people away from Himself and back to the Word and back to Jesus Christ. Churches that spend a lot of time in the Word, and spend a lot of time glorifying Christ are churches where the Holy Spirit is active. 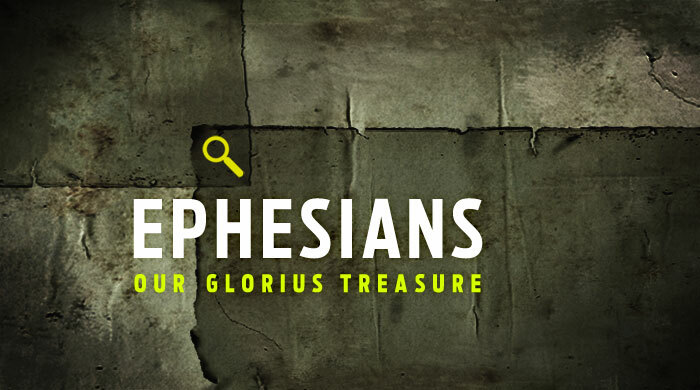 Well, in Ephesians 1, Paul has listed some incredible riches that we have as Christians. He pauses now in Ephesians 1:15-23 to pray for his readers, that they may understand the exceeding greatness of these riches. That is constantly my prayer for all of you also. But in Ephesians 2, Paul goes on to talk about more of our riches. In Ephesians 2:1-10, Paul goes into great detail about the riches of salvation. In Ephesians 2:1-10, salvation includes three things. Our regeneration – being given new life, our resurrection – being raised with Christ, and our reigning with Christ – being seated with Christ in heaven. In Ephesians 2:13, we learn about another of our riches. Though we were once far away from God, through Christ we have been brought near. In Ephesians 2:14, we find that we have been given peace. The entire world is clamoring for peace, but peace only comes from God through Jesus Christ. In Ephesians 2:19, we read that we have been given citizenship in heaven. Paul spends all of Ephesians 3 talking about one more rich gift of God – the mystery that was hidden for ages and generations, but has now been revealed. What is the mystery? It is the church. The church is one of the greatest blessings God has given to us. Many of God’s blessings only come to us as we get involved in the church, and many of the riches of divine grace God has given to us can only be used and experienced in and through the church. This is why church and finding our place in the church should be should be such a priority for us. It is important to God, and it is important to Jesus, and it is important to Paul. It should be important to us as well. Ephesians is all about the church. And the church itself is one of the riches God has given to us in order to help us get involved in growing His church. It is a mutually beneficial relationship. As you get involved in the church, the church benefits, and you benefit also. Paul closes Ephesians 3 with another prayer that using the riches God has provided; God will do amazing and incredible things in the church through the lives of the believers who use these riches for God’s glory. And that is what we will begin to look at next week as we look at Ephesians 4-6 and how God wants you to use your riches to help the church grow. God wants you to be part of a growing church, and He has given you everything you need to make that happen. Do you have dreams for your life and for this church? Look at how Paul closes out these chapters on the riches we have in Christ. Ephesians 3:20-21. Now to Him who is able to do exceedingly abundantly above all that we ask or think, according to the power the works in us, to Him be glory in the church by Christ Jesus to all generations, forever and ever. Amen. When we make use of the riches God has given to us, He will do things beyond our imagination. Paul piles on terms here to make his point. God will do exceedingly abundantly above all that we ask or think. God will do more than we can even imagine. When it comes to making use of God’s riches to carry out our God-given responsibilities, there is literally no limit to what God will do in and through us. The sky is not the limit.